US 50 to SR 48 to Lexington Dr to lt on Pioneer Ridge to home on right. Sign on. IMPRESSIVE! 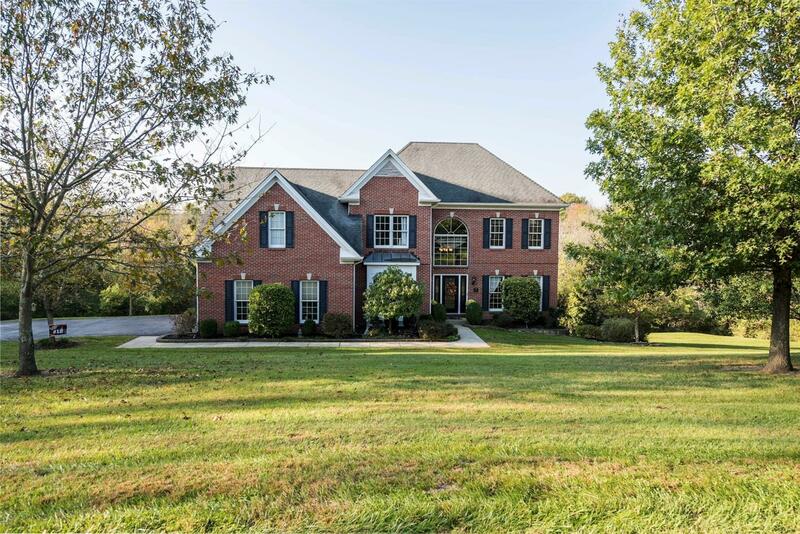 5 bdrm, 4 bth, all brick 2-story home - gorgeous inside & out - sitting on almost 6 acres of land! Interior offers hrdwd flrs; 6 panel doors; high-end fixtures throughout. Full, finished, walkout bsmt to nice patio. Awesome huge deck that's ideal for entertaining! Lots of woods to explore along w/ outside fire pit & basketball court.